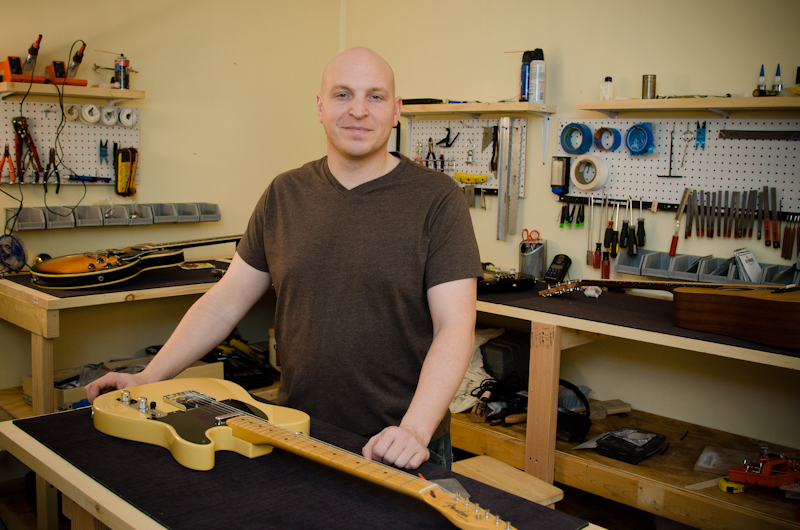 In my shop I focus on repairs, mods, and setups, without the distraction of a retail guitar business. I’m both a tech and a player, so I speak your language and can help you find the tone and playability that you’re looking for. I take a pragmatic approach and will always recommend the least invasive and most practical strategy when performing a repair or modification. This helps preserve the value and integrity of vintage instruments, and generally saves money for the customer at the same time. Like most performers live for the standing ovation, I live for the moment when a customer finds their guitar finally plays the way it should. Since I’m a much better luthier than a player, that’s the only ovation I can hope for.